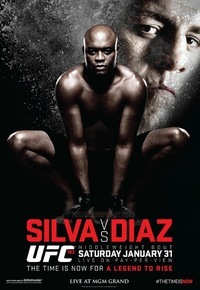 On 'The MMA Live Chat Show' Season 3 Episode 1 show Rich Davie discusses the UFC 183: Silva vs. Diaz event and gives his main card predictions. On 'The MMA Live Chat Hour' Season 2 Episode 26 show, Chuck Dallas and Rich Davie discuss the UFC on FOX 13: Dos Santos vs. Miocic FOX main card and FOX Sports 1 prelim card results. K.J. Noons vs. Daron Cruickshank : The fight is stopped at 0:25 of round 2 due to an eye poke, and since the fight didn't make it to the 3rd round the fight is declared a No Contest. On 'The MMA Live Chat Show' Season 2 Episode 68 show, Rich Davie discusses and recaps the TUF 20 Episode 12 show that featured the fights between Carla Esparza vs. Jessica Penne and Rose Namajunas vs. Randa Markos, gives his quick picks for The Ultimate Fighter 20 Finale happening December 12th 2014... and which fighter he thinks will become the UFC's inaugural Strawweight champion in the women's division. On 'The MMA Live Chat Show' Season 2 Episode 67 show, Eddie Law and Rich Davie discuss and preview the TUF 20 Episode 12 show that features the fights between Carla Esparza vs. Jessica Penne and Rose Namajunas vs. Randa Markos. On 'The MMA Live Chat Hour' Season 2 Episode 25 show, Jeremiah Deskins, Eddie Law, and Rich Davie discuss and recap the UFC 181: Hendricks vs. Lawler 2 event. On 'The MMA Live Chat Show' Season 2 Episode 65 show, Eddie Law and Rich Davie discuss and preview the TUF 20 Episode 11 show that features the final two quarterfinal fights between Carla Esparza vs. Tecia Torres and Joanne Calderwood vs. Rose Namajunas. On 'The MMA Live Chat Show' Season 2 Episode 64 show, Rich Davie briefly discusses and recaps the TUF 20 Episode 10 show that featured the fight between Aisling Daly and Jessica Penne. On 'The MMA Live Chat Show' Season 2 Episode 63 show, Eddie Law and Rich Davie discuss the TUF 20 Episode 10 show featuring the match-up between Aisling Daly and Jessica Penne. On 'The MMA Live Chat Show' Season 2 Episode 61 show, Rich Davie briefly discusses the TUF 20 Episode 9 show featuring the match-up between Felice Herrig and Randa Markos. On 'The MMA Live Chat Show' Season 2 Episode 60 show, Rich Davie briefly discusses the TUF 20 episode 8 show featuring the fight between Tecia Torres and Bec Rawlings. On 'The MMA Live Chat Show' Season 2 Episode 58 show, Rich Davie briefly discusses the TUF 20 episode 8 show featuring the match-up between Tecia Torres and Bec Rawlings. 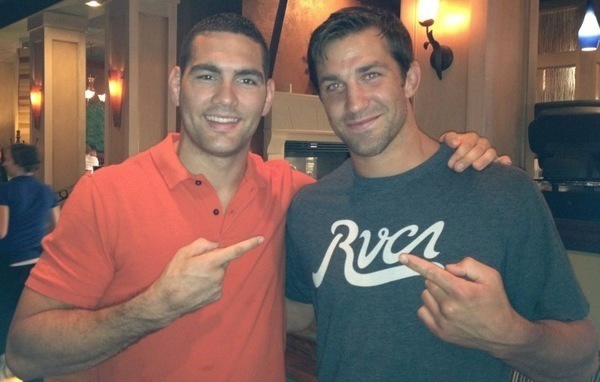 Luke Rockhold deserves to get the next shot at the title. Not based on who he beat or where he's ranked... I base it solely on my opinion that I think he's the only person in the division who can beat Chris Weidman. That would be a awesome fight and could possibly be a classic. It was recently announced by Andy Foster, the Executive Director of The California State Athletic Commission, that California is contemplating additional safety measures for MMA fighters. 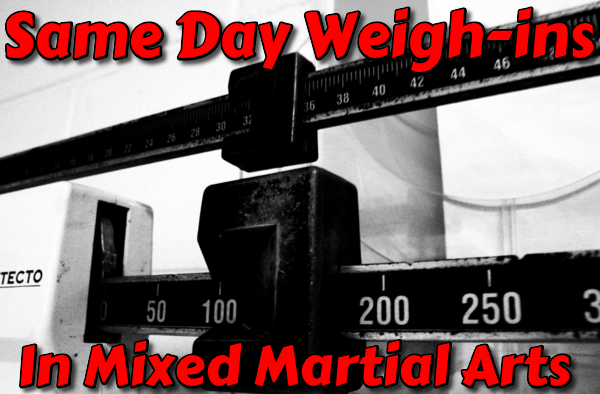 The new safety measures being considered may see the addition of same day weigh-ins and body testing that will most likely have fighters who actively and consistently look to get the edge over their opponents by cutting way too much weight for their body shape and size moved to more appropriate weight classes. On 'The MMA Live Chat Show' Season 2 Episode 57 show, Eddie Law and Rich Davie discuss the TUF 20 episode 7 show featuring the fight between Rose Namajunas and Alex Chambers... and we chat a bit about other MMA news. On 'The MMA Live Chat Show' Season 2 Episode 56 show, Eddie Law and Rich Davie discuss the TUF 20 episode 7 show featuring the upcoming fight between Rose Namajunas and Alex Chambers... and we chat a bit about other MMA news. 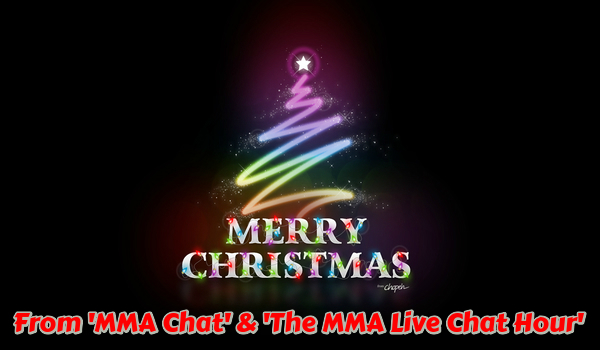 On 'The MMA Live Chat Show' Season 2 Episode 54 show, Fred Kirby, Eddie Law, and Rich Davie discuss the TUF 20 episode 6 show featuring the match-up between Aisling Daly and Angela Magana... we also chat a bit about the episode 5 show that featured the fight with Felice Herrig and Heather Jo Clark, and other MMA news. This is going to be a really interesting fight if it goes down... I have to give Conor his dues, he is a great fighter. For Aldo to win this fight has to happen in Brazil, and the same for Conor if he is in his home country then he is going to be flying high with emotions... Which I think could work in Aldo's favor. 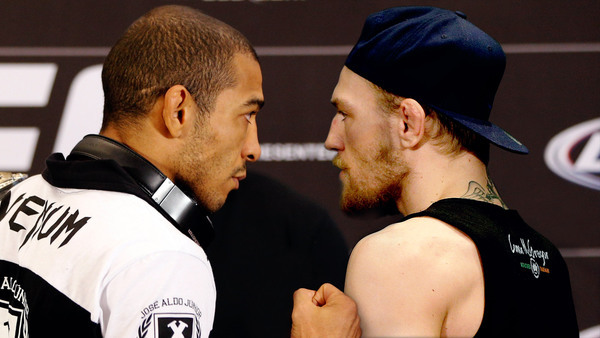 He tends to overlook opponents and that will be a big mistake to do that to Aldo. I give the speed advantage to McGregor, but the heart experience and championship swagger I give to Aldo. On 'The MMA Live Chat Hour' Season 2 Episode 23 show, Fred Kirby and Rich Davie discuss the UFC 179: Aldo vs. Mendes 2 event and review the main card fights. 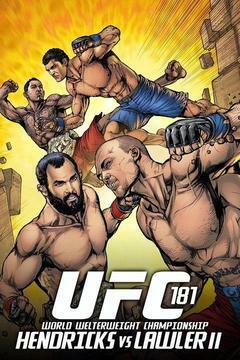 Show Title : UFC 179: Aldo vs. Mendes 2 Post Event Discussion On 'The MMA Live Chat Hour' show. On 'The MMA Live Chat Show' Season 2 Episode 53 show, Rich Davie briefly discusses the TUF 20 Episode 5 show, and the fight that featured the match-up between the #6 seeded fighter Felice Herrig and the #11 seeded fighter Heather Jo Clark. 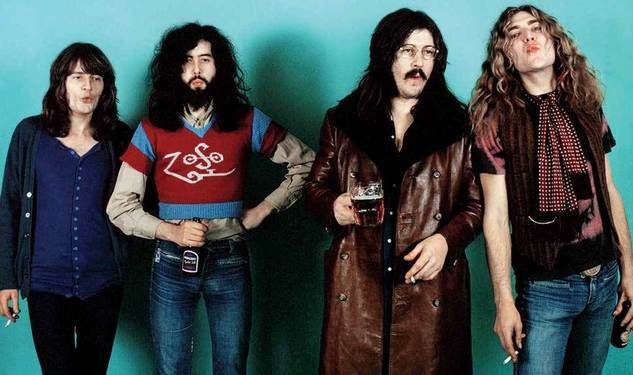 Did Led Zeppelin Lift a Riff From Spirit's Tune 'Taurus' for 'Stairway To Heaven' ? I have to admit straight away that it really isn't a stolen riff that's in question here, but rather a series of notes that are finger-picked on the guitar from Spirit's tune 'Taurus' and apparently used by Led Zeppelin for their tune 'Stairway To Heaven'... but I needed a catchy title for the article. I stumbled across an article today on Bloomberg Business Week that brought this to my attention. On 'The MMA Live Chat Show' Season 2 Episode 52 show, Fred Kirby and Rich Davie discuss the TUF 20 Episode 5 show, which features the match-up between the #6 seeded fighter Felice Herrig and the #11 seeded fighter Heather Jo Clark. On 'The MMA Live Chat Show' Season 2 Episode 51 show, Damon Gesell, Fred Kirby, and Rich Davie discuss Rory McDonald getting the next title shot in Canada... and the guys discuss the breaking news about Jason Miller and the SWAT team outside his house.